Joan Uhl Browne brings 20+ years of executive business experience in the private, public, and higher-education sectors. She is Founder and Principal, Collegiate InSite; former Chair of The University of Toledo Board of Trustees; and former President of Lott Industries, a not-for-profit 501 (c) 3 corporation providing employment opportunities and training for over 1,000 transition-aged youth and adults with a developmental disability. In these roles, she has focused on maximizing people’s potential by collaboratively identifying strengths. 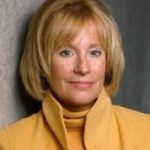 Joan’s unique skills for organizations include finding new opportunities, creating strategies, analyzing operations, and expertise in Board governance. Joan has been at the forefront of social entrepreneurship in developing new ways for people to contribute to society. Joan holds a Bachelor of Science in Business Administration from The University of Findlay, a Master of Liberal Studies from The University of Toledo, and a Certificate in Nonprofit Executive Leadership from The School of Public and Environmental Affairs and The Fund Raising School at The Center on Philanthropy at Indiana University.